It is November 2018. President Trump arrives for a state dinner at Buckingham Palace, his arm around the de facto first lady, Ivanka. An official photograph from the White Drawing Room is flashed around the world: the nation’s favourite grandmother, still regal enough to grace a weighty tiara, purses her lips diplomatically as The Apprentice star queries her light touch with the interior gold leaf. Great Britain congratulates itself. Not for us, the vagaries of democratic mandate. Faced with President Trump, the monarchy’s approval ratings have never been higher. Or consider an alternative November 2018. A year earlier, a stormy debate in parliament led to the triggering of Article 50. Negotiations with the EU look set to drag on, although the narrow victory of Marine Le Pen in France’s April 2017 elections seems to have assured the union’s eventual disintegration. First Minister Nicola Sturgeon has declared her intention to hold a referendum on Scotland’s independence, with or without authorisation from Westminster. Amid this constitutional crisis, Queen Elizabeth II dies at the age of 92. What could King Charles III offer to hold together a fratricidal nation? The Queen’s eldest son, though much rehabilitated after the death of his first wife, has never had the common touch. His consort, the former Camilla Parker-Bowles, has had greater success at winning public affection, championing charities such as the National Literacy Trust with her earthy common sense. (In 2015 the BBC aired a controversial documentary which traced the strategic planning of a PR overhaul for the couple.) Gone are the days when, in a concession to critics of her marriage, the Duchess of Cornwall promised to hold the title “princess consort” on her husband’s accession. Camilla will be queen. Royals must be distinct, apart, majestic; and yet gather for down-to-earth Christmases amid shabby Sandringham sofa cushions. Their friendships — particularly with oil-rich fellow monarchs — are matters of state. In our year of anxiety, the Queen has failed to offer leadership. How could she? The gentlest of comments on the Scottish referendum — asking voters outside Sandringham “to think very carefully about the future” — was condemned by nationalists as unionist political meddling. Her purported views on the EU were much disputed; in reality, a Leave campaign trumpeting a return to direct democracy could hardly be seen to welcome interference from an anointed monarch. (Nigel Farage seems keen to circumvent the traditional prerogatives of the monarch, such as choosing her own ambassadors. One wonders if he’ll make the guest list for that first Buckingham Palace Trump visit.) Brexiters are Levellers, not Cavaliers. What, then, can a monarchy offer today’s uncertain Britain? The Crown offers a conventional answer: continuity and endurance. “The monarchy should shine, but not the monarch,” Elizabeth tells a publicity-hungry Margaret. Prince Charles may find that a harder proposition. 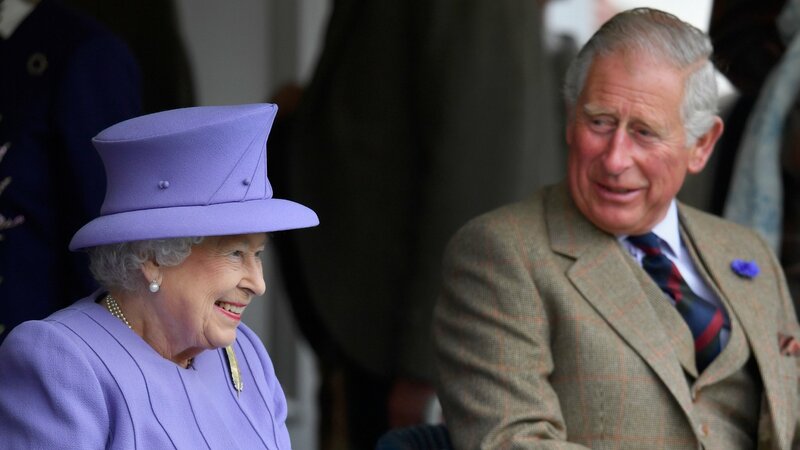 He will have to reshape the monarchy: perhaps Elizabeth II performed well because constitutional monarchy — so passive, so nurturing — looks better on mothers than on men. His children are popular. All may yet be well for the House of Windsor. Royal pessimists should watch this space. • This is the second TV series this year about a steely young queen’s marriage and a consort’s frustration with his supporting role. Before The Crown, there was ITV’s Victoria. There was something strident about its insistence that Victoria assert her emancipation at all times (even, during the Bedchamber Crisis of 1839, at the expense of democracy). By contrast, The Crown understands women’s history instinctively. It may be Elizabeth’s story, but the opening shots belong to two men. Prince Philip kneels to renounce his Greek citizenship, and Elizabeth’s father, George VI, reluctantly dubs him Duke of Edinburgh, tacitly accepting him as a future son-in-law. Elizabeth has made this happen. She hovers, outside the room.